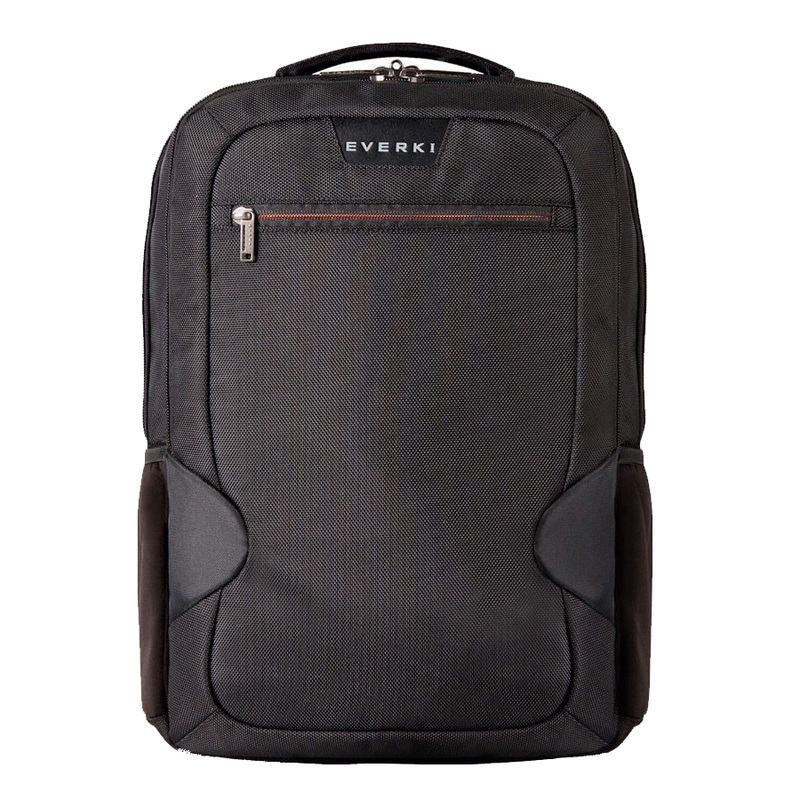 The Everki Studio is a slim laptop backpack for those who need a safe a smart way to carry their tech. The Studio is jammed packed with pockets and organizers for all of your daily tech essentials. The laptop sleeve fits laptops up to 14-inches but we have found it to fit slimmer 15-inch laptops like the Macbook Pro. For travelers, the Everki Studio features a trolley luggage handle pass-through for easy carry at airports. The bag is also small enough to be considered a personal item and comfortably fit under most airline seats. Tons of small pockets and organizers for accessories like chargers, cables, a mouse and personal items. Orange liner on the inside makes it easy to quickly spot the contents inside the bag. At 14 liter capacity you can comfortably fit a laptop and accessories… but that’s just about it. There is no extra storage space for larger items. Water bottle pocket doesn’t stretch far enough to accommodate larger water bottles.